Bicyclists have little to no protection from impacts with cars (other than potentially a helmet). This stands in contrast to drivers, who have air bags, seatbelts and other safety mechanisms that can protect them in the event of a traffic accident. The significant weight of cars and other motor vehicles when compared to bicycles means that, even at slow speeds, car versus bicycle collisions can cause serious damage to cyclists. Drivers are often on the lookout for other cars or larger vehicles and may forget to (or intentionally fail to) share the road with bicyclists. Bicyclists can be especially difficult for drivers to see at night if cyclists are not wearing the proper safety gear. Driver error, such as failing to obey traffic laws, can result in potentially fatal bicycle accidents. Other examples of driver negligence that can cause serious bicycle accidents include driver intoxication, driver fatigue and driver distraction. In the event that another driver’s negligence played a role in causing a bicycle accident, accident victims may be entitled to compensation for their injuries, property damage, medical bills and mental anguish. 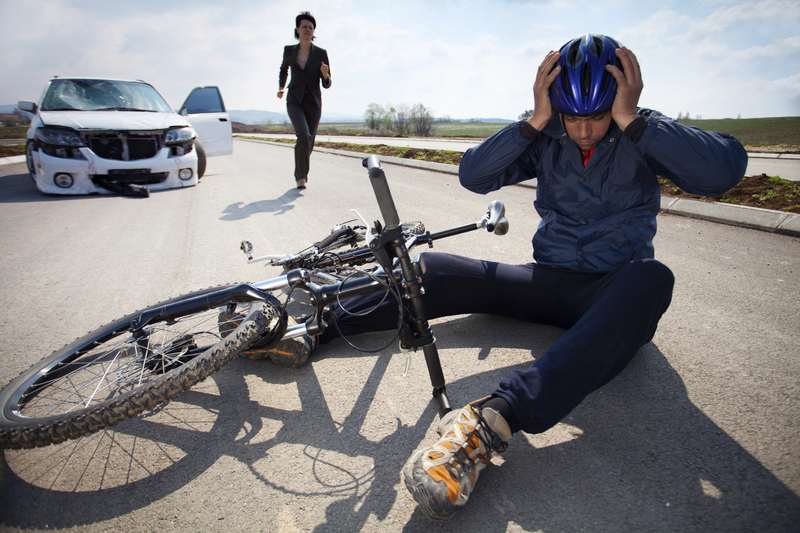 Brown & Brown has represented clients in a variety of vehicle accident cases, including claims involving bicyclists. For a free review of your case, contact one of our convenient offices today. Call us at the 3s in St. Louis (314-333-3333 / 573-333-3333) for service in Missouri, or dial the 8s for help in Fairview Heights, Illinois: 618-888-8888.